We understand that this type of training may be totally foreign to you, so to help you discover if it is right for you, we’d like to invite you to come in for a free consultation session and learn more. To get your first training session scheduled, fill out the form below and someone from our team will be calling you shortly to discuss the best time for you to come in. We look forward to meeting you! What will I do at my free session? During your session there won’t be any crazy surprise workout that we’ll toss you into. We just want to show you why people are so excited about CrossFit and introduce you to some of our members and our team. We are so excited to help you begin this new journey towards a healthier more fit version of you. 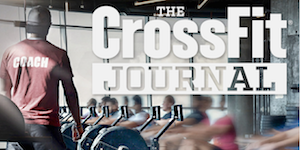 Getting started in CrossFit is a ton of fun. It may seem intimidating at first, but don’t worry! We definitely won’t have you doing anything on your first day that you aren’t ready for. See you soon!